We Love Our Cloverly Families! 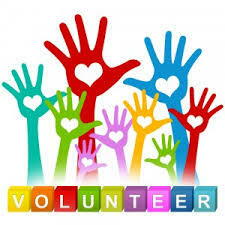 Are you interested in volunteering at Cloverly or attending your child´s field trip? We would love to have you! First, you will need to be trained on Recognizing Child Abuse and Neglect prior to volunteering and/or chaperoning for field trips at Cloverly Elementary School according to MCPS regulations. This is true for all MCPS schools. After you have completed the training, email your confirmation to Daniela_A_Rocha@mcpsmd.org or print out a copy of the confirmation and return it to the main office, addressed to Daniela Rocha. Please complete the training at least 1-2 days prior to your first volunteering job. The online training is available in Amharic, Chinese, French, Korean, Spanish, and Vietnamese. Parents/guardians will not be barred from participation in their schools due to the need for training accommodations. Games and activities for children and their parents about child abuse.